Relatively unknown Christmas specials are often either terrible or boring, but this one has Muppets! Muppet specials are usually good, right? Not this time. Well, nuts. In truth, this short special isn't terrible, but it is rather boring. The plot is from a book, and I would venture without checking that the book was short and mostly pictures. It follows a mouse family in search of a 'perfect Christmas tree' for their holiday celebration. They choose a section at the top of a very tall tree, but then the whole tree is cut down and they go along for the ride. 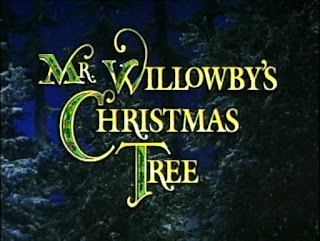 The big tree is for Mr. Willowby's 'perfect Christmas tree', but it's too tall for the room. The top third or so is cut off and sent upstairs to be the housekeeper's tree. The tree is too tall. The top is cut off and thrown out the window, where it's picked up by some bears for their celebration. Still too much tree. The top of their tree is taken by a group of owls, and the very tip is cut off and discarded by the owls, just the right size for the mice to bring home in time for dinner. Kind of a cute plot, but not enough to fill a half-hour without some mediocre music and egregious repetition of the phrase 'perfect Christmas tree'. 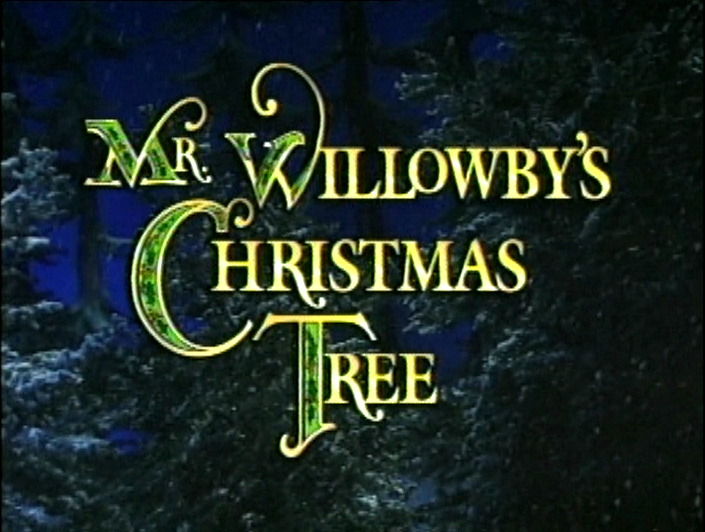 Mr. Willowby is played by a very young, high-voiced Robert Downey Jr. who is either just phoning in his ridiculous performance or phoning it in while high on illegal substances. The other human characters are Leslie Nielsen as the butler and Stockard Channing as the housekeeper. Nielsen makes the appropriate effort for this production, which is to say he says his lines clearly and doesn't mug too much for the camera. Channing affects a wandering accent when speaking and none when singing. All the humans' characters are thinner than tissue paper. The best muppet sequence is probably the owls. (The owls also might have been built for this special, unlike the mice and bears, but I wouldn't count on it.) The mice are cute enough, but their part is repetitive. The bears' holiday involves a lot of 'dance' that's just filler. The owls are pretty; they don't speak, and play instruments of ice for their celebration. However, their sequence, like every sequence in the whole half-hour, goes on too long. Kermit (Steve Whitmire) acts as the narrator for the piece, and the best I can say for his part is his fluffing of the run-time isn't obnoxious. I also want to note that the tree prop changes size and shape between cuts, even in the same set, in order to make the "too tall" plot loop continue. It's a little ridiculous. I'm not sure what the point of all this tree-cutting rigamarole was by the end. Everyone celebrates in their own way? I didn't need to sit through half an hour of lackluster Muppets for that.